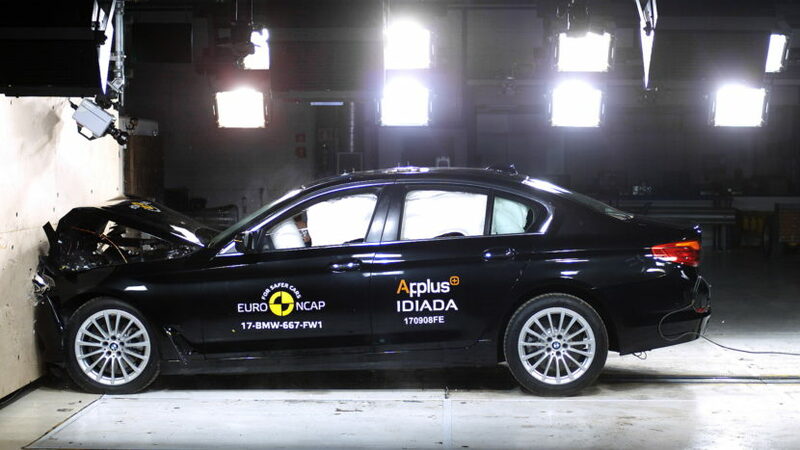 Just a few weeks after its market launch, the new BMW G32 6 Series GT has completed the Euro NCAP crash test. The technically closely related to the 5 Series Gran Turismo was rated with 5 stars. Due to the great technical proximity, the testers did not carry out all the tests with the BMW 6 Series GT, but in some cases adopted the values ​​determined from the 5 Series. 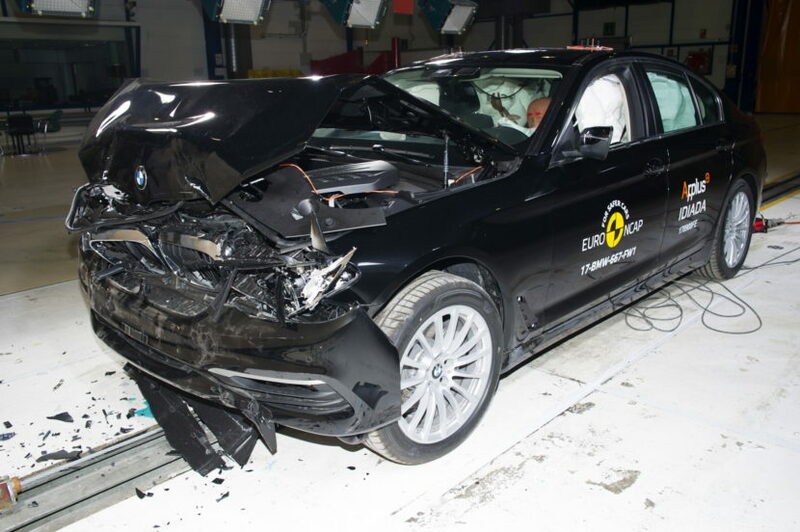 This means above all, the frontal crashes because both cars have the same crash structure on the front, so no further tests were required here. Also identical are the electronic safety and assistance systems and the seats, which is why the data of the 5 Series G30 could also be used here. The situation is different with the side impact and pedestrian tests that the BMW 6 GT had to master itself. Comparing the datasheets of the BMW 6 Series GT and 5 Series, there are interesting differences despite the identical 5-star rating. Therefore, the testers evaluated the protection of adult passengers of the 6 Series GT with 86 percent, the 5 Series received 91 percent. There are no differences in occupant protection for children, safety systems and pedestrian protection. The cause of the worse value of the 6 GT is due to the different airbag configuration, which has a negative impact in a side impact. 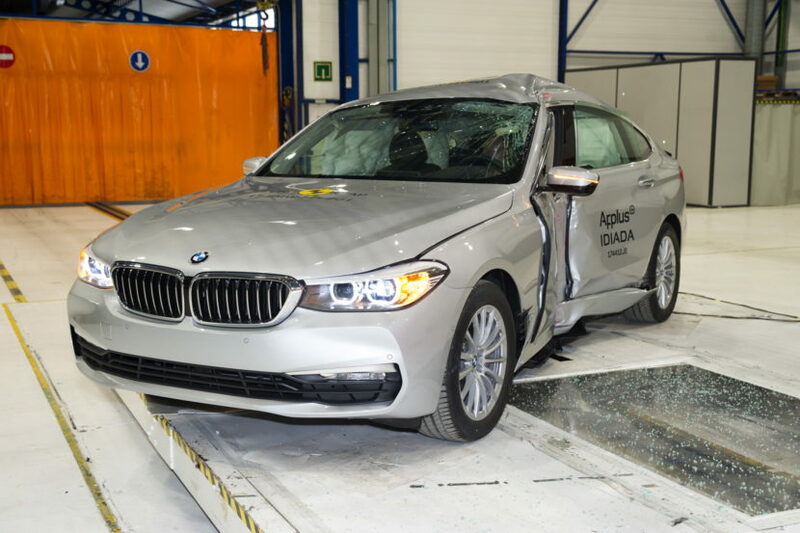 In the pedestrian safety test, the BMW 6 Series GT scored a rating of 81 percent while the safety assist received 59 percent. This new BMW 6 Series Gran Turismo is based off of the same scalable architecture that underpins the BMW 5 Series, 7 Series and upcoming 8 Series. This means that it uses lightweight materials as much as possible and features all new technology from BMW.